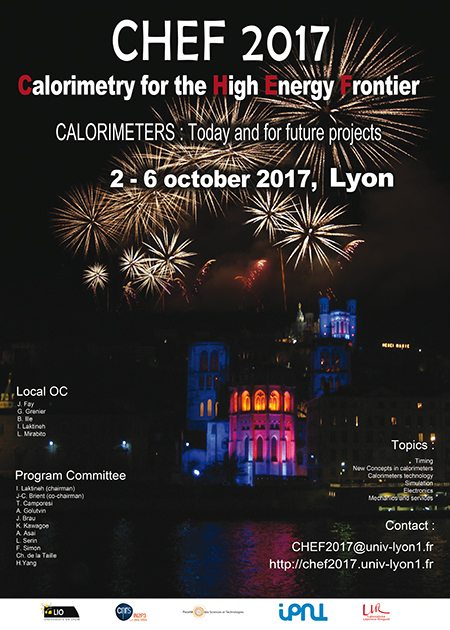 CHEF2017 is the second edition of the CHEF conferences series that started in 2013 with the goal to address the calorimeters at the energy frontiers in Physics. It also deals with the innovative concepts of calorimetry in nuclear, particles and astroparticles physics. Calorimeter concepts go beyond the detection aspects and therefore CHEF gives an important place to discuss the measurement, simulation techniques as well as electronic readout system and services in the calorimetry field.